Side-loading design for fast and easy menu card changes. Thin (0.020"), flexible plastic construction for low price point. Clear finish easily coordinates with any tabletop settings. 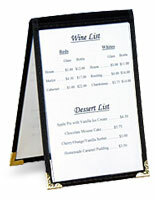 These menu card holders are a highly visible way to present your advertisements. Constructed from a flexible plastic material, these tabletop accessories are a less expensive alternative to signholders crafted from acrylic. 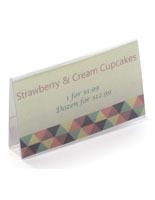 These placecard displays, menu card holders give users an affordable means of displaying a variety of signs. 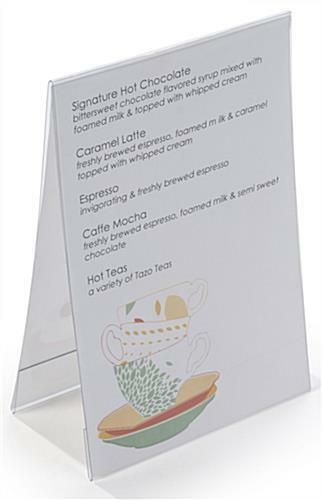 This table tent can be used within food service establishments, to display specials, dessert offerings, wine or drink lists as well. 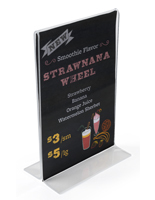 These menu card holders are also great for use by retailers, as they can be placed on a service counter or checkout area to promote any ongoing specials and to prompt impulse buys! The a-frame design takes up very little space on a counter to tabletop. 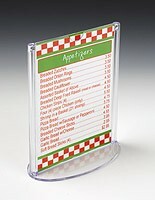 These menu card holders are perfect for use in busy offices, to display important informational signage. 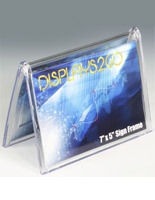 The 4" x 6" frame can also be used to display portrait style photos or other important information on an office desk. 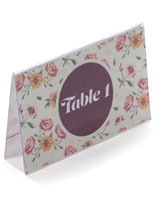 These tabletop accessories, menu card holders are double sided for displaying two different 4" x 6" graphics. 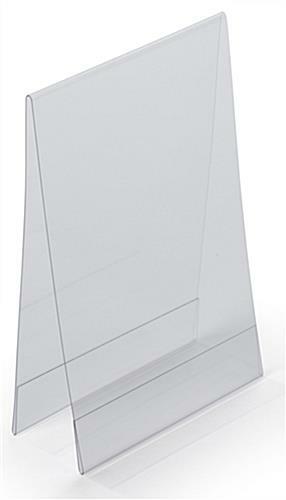 These a-style table tents stand on an angle for easy viewing. Graphics are not included with these menu card holders. 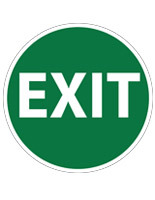 When creating your signage, the use of rigid materials is recommended. As these menu card holders are small in size, users can conveniently print advertisements directly from any printer with ease. 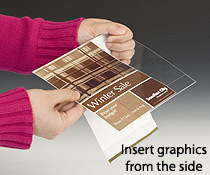 No need to buy expensive poster board or use print shop services to make new signs. 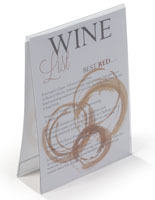 These menu card holders, such as placecard displays feature a side-insert design for fast and easy insertion and removal of graphics. Signs slide in and out easily from the side with this table tent. 6.5" x 6.1" x 20.0"